This property is a Section 42 Tax Credit LIHTC housing program. We offer 3, 4 and 5 bedroom apartments with income limits and some student restrictions apply. Owner elects Special-Needs Housing Commitments, such as Agriculture workers a full definition of these commitments in the Rental Office. We also accept housing authority provided Section 8 vouchers. Please call for details. Water,sewer,garbage included, Washer/dryer hookups with leased units available. We also have two five bedroom apartments. We have disabled, homeless and large family set-asides. Please call for details. 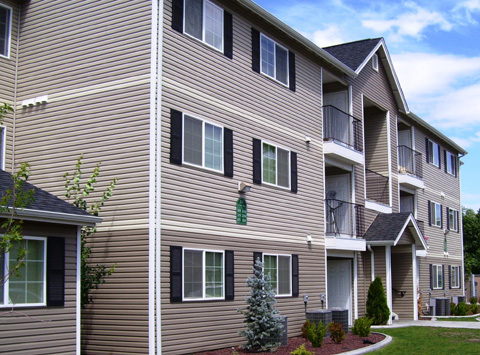 This property is a Washington State Housing Finance Tax Credit property and offers affordable non-subsidized apartments for low income households. Your rent is based on the non-subsidized Tax Credit rents listed. The rent you will qualify for will depend upon your income and availability of the units at the differing rents. Income limits apply. Please call for details and eligibility. We also accept housing authority provided Section 8 vouchers.